Insidious: The Last Key (film, 2018). A 2018 American supernatural horror film with "PG-13" rating by Universal Pictures/Sony Pictures Releasing. Directed by Adam Robitel. Official Trailer. Insidious: The Last Key is a 2018 American supernatural horror film directed by Adam Robitel. 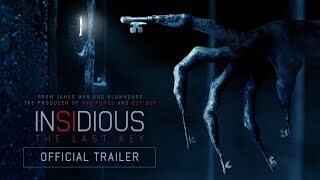 Insidious: The Last Key - Official Trailer (HD). In 1953, Elise Rainier lives in Five Keys, New Mexico with her parents Audrey and Gerald and younger brother Christian. Elise and Christian encounter a ghost in their bedroom. Frightened, Christian looks for a whistle their mother gave him to call for help, but cannot find it. Gerald, furious, beats Elise and locks her in the basement. There, Elise opens a mysterious red doorway and is briefly possessed by a demonic spirit. When Audrey comes to investigate, she is killed by the demon. Decades later, Elise works as a paranormal investigator with her colleagues Specs and Tucker. A man named Ted Garza calls, saying he's been experiencing paranormal activity at his house. Realizing it's her childhood home, Elise departs to help him. While investigating the house, Elise finds Christian's lost whistle, but it disappears again after she encounters a female spirit. Elise tells Specs and Tucker that she had seen the spirit before when she was a teenager. After, Elise fled the house in fear of another beating from her father, abandoning Christian. The next morning, Elise, Tucker, and Specs meet Melissa and Imogen, Christian's daughters. Christian is still furious at Elise for abandoning him. Hoping to repair their relationship, Elise hands Melissa a photo of the whistle, telling her to show it to Christian. Later, Elise and Tucker discover a hidden room in the basement. Inside, they discover a young woman being held prisoner. Ted storms into the room and reveals that he is responsible. He locks the group in and tries to kill Specs. Specs kills Ted in self defense. Principal photography began in August 2016, and ended the following month. 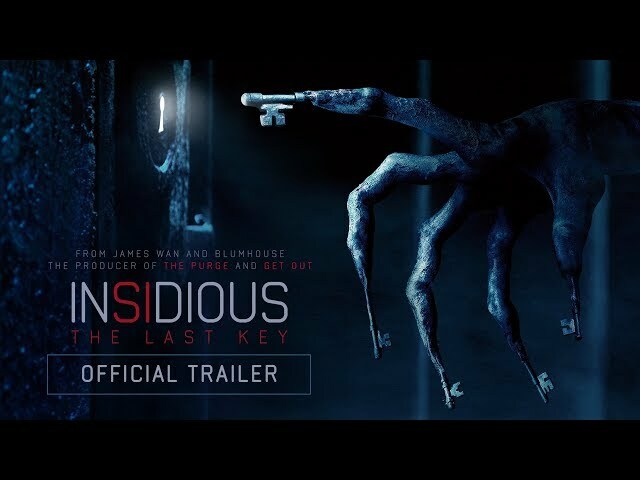 The film Insidious: The Last Key was scheduled to be released by Universal Pictures and Sony Pictures Releasing on January 4, 2018 (Germany), on January 5, 2018 (United States), on January 11, 2018 (Turkey) and on January 18, 2018. The duration of the film is 103 minutes. With a budget of $10 million, the film grossed over $167.7 million. Insidious: The Last Key got average rating from critics. But the audience likes the film. Audiences polled by CinemaScore gave the film an average grade of "B-" on a scale ranging from A+ to F.